At the Performance Tier step of the wizard, specify which backup repositories you want to add as extents, and configure options for the scale-out backup repository. On the right of the Extents list, click Add. In the Extents window, select check boxes next to backup repositories that you want to add as extents. At the lower right corner of the Extents list, click Advanced. Select the Use per-VM backup files check box if you want to create a separate backup chain for every VM in the job. With this option enabled, during one backup job session Veeam Backup & Replication will produce a number of backup files — one per every VM, and will write these files to the backup repository in multiple streams simultaneously. It is recommended that you enable this option to achieve better storage and compute resource utilization, especially if you use as a backup repository a deduplicating storage appliance that supports multiple write streams. To preserve the consistency of backup chains on the scale-out backup repository, select the Perform full backup when required extent is offline check box. If an extent that contains previous restore points from the current backup chain gets offline, the backup chain will be broken. 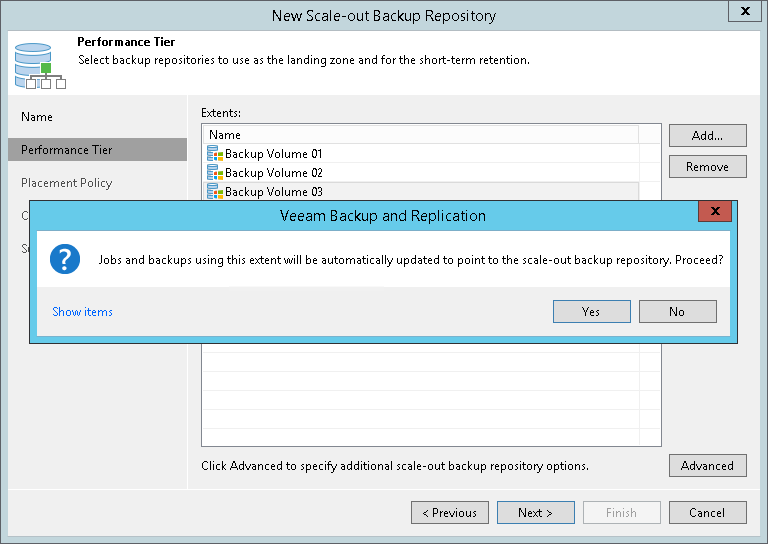 Veeam Backup & Replication will not be able to add a new incremental backup file. 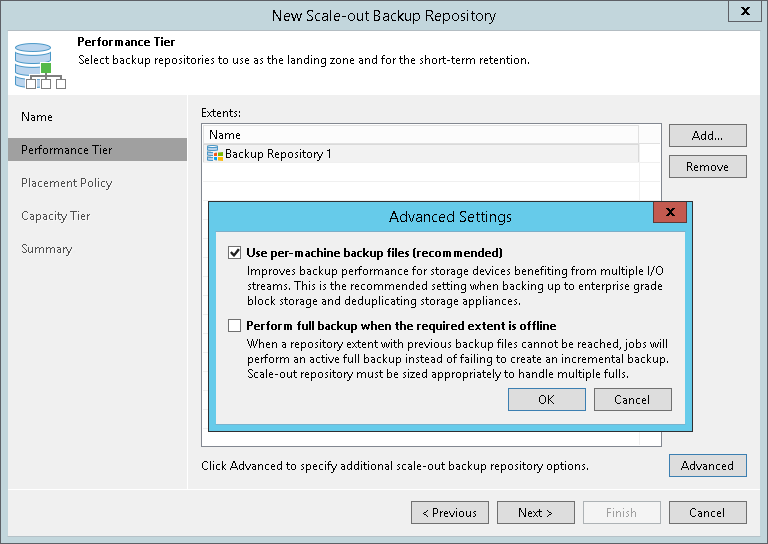 With this option enabled, Veeam Backup & Replication will create a full backup file instead of an incremental backup file. If you enable this option, you must make sure that you have enough free space on the scale-out backup repository to host a full backup file.